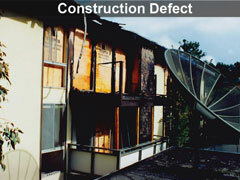 A series of lawsuits threatened an entire industry: reflective foil insulation (RFI) manufactures. Builders and owners were claiming that the application of this insulation to the underside of plywood panelized roofs on tilt-up buildings was creating “rain” in the cavity between the roof and insulation. This intra-cavity “rain” allegedly was causing these plywood roof panels to deteriorate completely in a matter of 10 years with no visible evidence of water leaks. 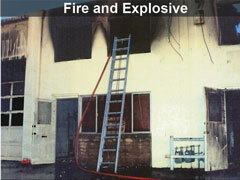 We took one building in the Los Angeles area and performed a detailed investigation. First, we mapped the deterioration evel of every panel in the building. Second, we compared the map of this decay to a map of the HVAC system. Third, we collected temperature & humidity data beneath, within, and above the roof panel cavities in several locations throughout the building. Fourth, we performed a detailed time-dependent temperature and vapor diffusion analysis of the roof cavity that considered phase-change of water vapor and moisture content variation in building materials for the most extreme weather cycles that allegedly caused the intra-cavity rain. Fifth, we collected and summarized maintenance records for the roof and HVAC system. Sixth, we reviewed the construction records to determine under what conditions the building was built and the RFI installed. 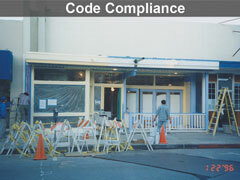 Seventh, we surveyed numerous exemplar buildings that did not have any problems. And, finally, we mapped the flow of water along roof panel joints from known & expected leak locations. We determined that the creation of rain (i.e., the condensation of vapor) in the RFI cavity was impossible under all possible circumstances. We determined that the severity of the damage pattern exactly correlated with the ventilation of the space beneath it. We determined that the parapet-surface-mounted roof counter-flashing leaked as well as all 80 “self-flashing” skylights on the roof. And we determined that water from these leak locations would flow along the inter-panel roof joints beneath the roof membrane to the highly damaged roof sections. A group of friends decided to climb the fire escape ladder to the roof of their apartment building to watch the sun set. While ascending the latter, the first young man to climb it grabbed one of the rungs near the top of the ladder. As he applied his body weight to the rung, the rung broke from the ladder’s side rail and the young man fell 44 feet to his death. 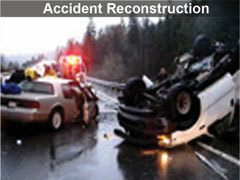 We reconstructed the accident and analyzed the cause of the failure. We were able to demonstrate that the fasteners that attached the rung to the ladder were completely rusted on the inside of the rung while appearing intact on the surface. We demonstrated that the load applied by the young man could not have caused the fasteners to fail if they were intact. And we demonstrated that the failure happened so quickly that the young man had no time to react and prevent himself from falling. This is an accident reconstruction and failure analysis project. Amidst the installation of a modern new steel canopy for a busy urban subway station, the structure collapsed, and a worker was severely injured. WCP&A was hired to investigate the cause of the accident; a thorough structural failure analysis report was produced to aid the plaintiff in winning this court case.